Formlets is for all users around the globe. If you need to include currency in making of form, we have added Currency Element to let users choose their official currency. 3. Scroll down and look for "Currency"
4. 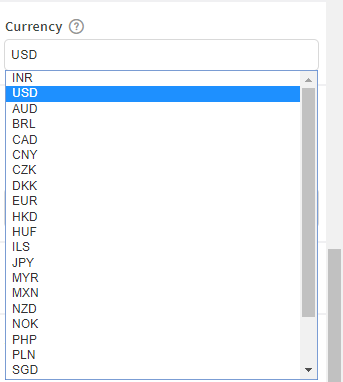 Click on the textbox to show all the Currency Choices. 5. Click on the Currency. After that, click on "preview" to check on your form if the currency is already set up. You can now Publish your form when everything else is fine.